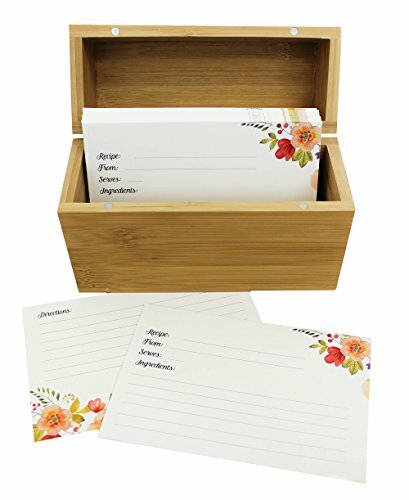 Mint + Elm Recipe Box Set with 100 4x6 recipe cards, 10 dividers, bamboo box, and card holder. Cards made with thick card stock. Perfect recipe organizer. 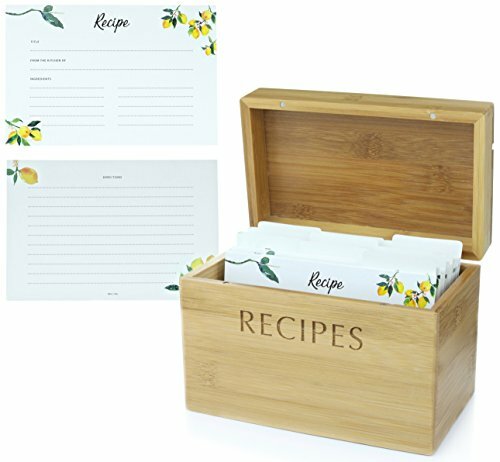 Recipe cards are a great way to save your best recipes for years to come. 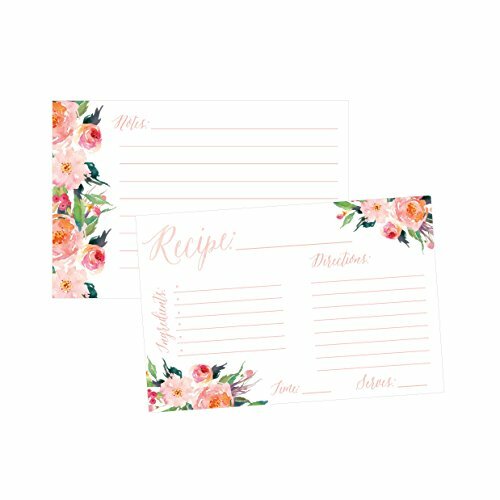 Our cards are printed on the highest quality matte cardstock so they are durable and can stand up to use over the years. 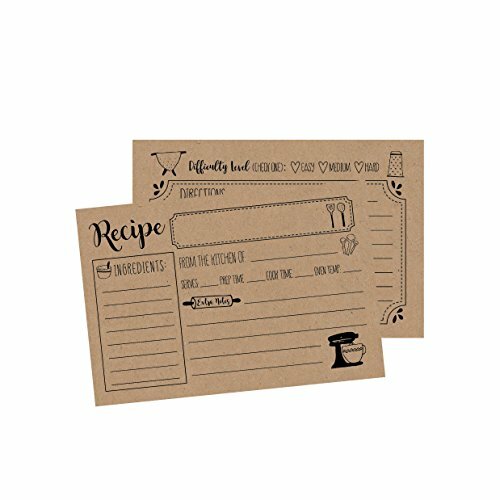 Each card has room on both the front and back of the card leaving plenty of room for any size recipe. Our Floral design is a great design that is traditional, yet elegant and a great design for any recipient. 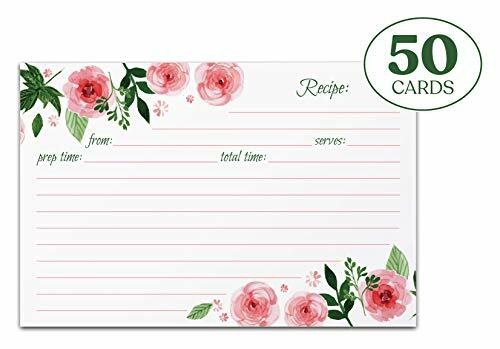 Share your favorite recipes with a bride to be and give these cards out at a bridal shower so family and friends can shower the bride with amazing recipes. Our designs are unique, and our quality is top notch. We hope you choose our recipe cards to use, or to share with a friend. 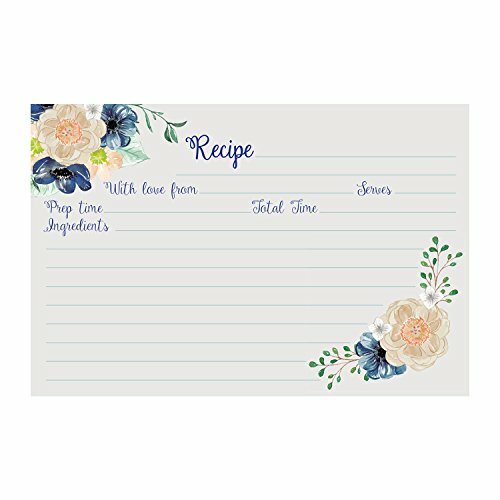 These double sided recipe cards feature ample room for your recipes and notes. 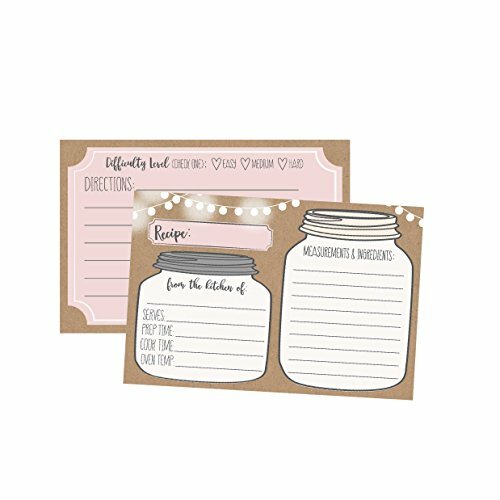 Buy these recipe cards for yourself, as a housewarming gift or for a bridal shower! 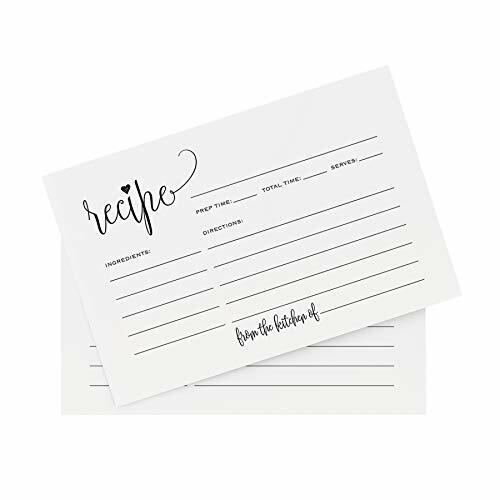 These cards make the perfect addition to your bridal shower invites - just mail them with the invite and have guests fill-in their favorite recipe and return them on the day of the party. ► PRODUCT DETAILS: - 50 Pack - 4x6 inches - generous size allows plenty of room for writing - Printed on high quality 100lb premium uncoated white card stock - Double sided classic yet modern design in black ink ► WHAT MAKES US UNIQUE: - 100% UNIQUE DESIGNS: Created by our in-house design team - you won't find these designs anywhere else! - HIGH QUALITY PAPER: Every product uses the finest quality papers. - OPTIMAL ENVIRONMENTAL CHOICE: Uncoated stock is acid-free and FSC certified and contains 10% post-consumer recycled content. - WE STAND BEHIND OUR PRODUCTS: We take pride in the quality of our products and the services we provide. - KNOW YOU'RE SUPPORTING A SMALL, FAMILY-OWNED BUSINESS: With an A+ Better Business Bureau rating. - USA MADE: Designed and printed in the USA. What I Received at my Bridal Shower!